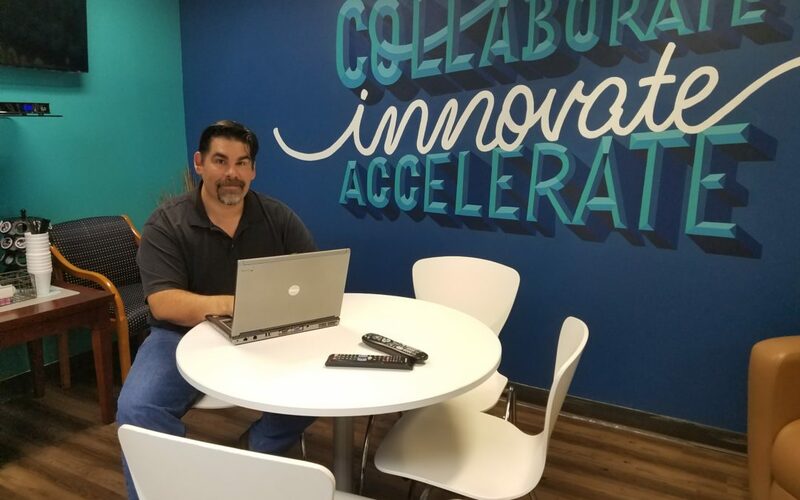 “When I decided to start my business, Data Revolution, the first people I met with were Kelly Reeser and Pat Rooney at CO:LAB. I was fully motivated and had a lot of good ideas. I knew where I was going, but I didn’t really know HOW I would get there, or even the best way to start. The wealth of information that those two individuals brought to light for me was transformational. There were so many things I hadn’t thought of and didn’t know. Pat was instrumental in my writing a business plan and Mission Statement. He also coached me on bookkeeping; explaining cashflow strategies, and how to plan for big financial issues that would surely have sunk my little ship had I not been prepared. He tirelessly explained again and again why I needed to track sales tax the correct way, and how to file the reports, and why my chart of accounts needed to be setup a certain way. Kelly was very deliberate in explaining what resources were available to me, how to go about accessing them, and even making introductions to the right people for me. She also showed me where things were, how to access them, and gave advice on how to approach important potential partners and clients. She proofed my proposals and marketing material (this CAN’T be in her job description) and even explained why she was suggesting the edits. In short, she saved me countless hours and dollars by cutting through red tape and fluff like a samurai! One thing I will never forget is how supportive and positive they were, especially in that first year. I believed in myself even more because they believed in me! To fail would have meant letting them down. By the way, nothing has changed in 2+ years. They are still coaching me, supporting me, and cheering me on to each new level of success. In 2017, Data Revolution moved from being a home-based business to having office space at Co:Lab. Now I work in a full-time environment surrounded by other small businesses that are all at different points in their own journey. Co:Lab is a real business incubator with real results. I am growing my business along with about a dozen other small businesses, who are benefiting from the same coaching and resources. I firmly expect in another couple of years, we will move out of the space at Co:Lab and into our own corporate headquarters here in Pensacola. I hope to be employing 5-15 full time, highly skilled, highly trained people by that time. I am now involved in several nonprofits, on the programming committee for iTEN Wired and a corporate sponsor of the Pensacola Blue Wahoos! None of this would be happening like it is right now for Data Revolution without the support of FloridaWest EDA and Co:Lab. My wife, kids, business partners, independent contractors, and my customers are all better off as a result. 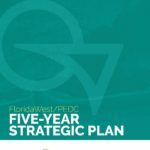 CO:LAB, a program of FloridaWest EDA, supported by Pensacola State College, is Pensacola’s business incubator and growth accelerator. Find out more about CO:LAB. Learn more about how economic development works for you!